Off went the swimmers into the quadrangular course, twice around for the 3000 meters. They could see the bottom of the lake most of the way, but had trouble looking into the early-rising sun on the second buoy. The overall winner of the 3000 meter race was Mike Oxendine of SOMA in 46:20.1 for the 35-39 Men. He was followed closely by the first woman finisher, 40-44, Stacey Kiefer from COMA in 46:31.3. The first swimmer in a wet suit was Jayette Pettit of SOMA, Women’s 50-54, going 44:44.1, followed by Jose Salazar of RAMS in 51:34.0 for the Men 40-44. Twenty-three swimmers completed the course, with five in wet suits. In between the Masters races were two triathlon events, the first of which followed the same swimming course, and the second was for beginners and had a 750 meter swim. There was also a paddle board race. The paddle boarders started coming in at the beginning of the 1500 meter Masters swim. The 1500 started under full sun and clear air, once around the same course. Mike Oxendine and Stacey Kiefer repeated their individual 3000 wins, but Stacey turned tables on Mike for the overall title, beating him by 3 seconds, 22:57.9 to 23:01.0. Twenty-two swimmers started and completed the race. Pat Allender of Corvallis in the Men’s 60-64 age group was third overall in both races, going 49:02.6 in the 3000 and 22:52.0 for the 1500. Swimmers ranged from Hannah Parker in the Women 25-29, to Dave Radcliff, eldest at 84, who will soon annihilate more records in the 85-89 Men’s age group in 2019. Swimmers came from all over Oregon to participate, with most from SOMA and COMA, including Coos Bay, Corvallis, Beaverton and even Mesa, Arizona. They were greeted by a pleasant camp-out the night before at Lake of the Woods, Fish Lake or Klamath Falls. The Lake of the Woods events will be held again in 2019. Potential participants are advised to reserve cabins and camping spots early in the year. 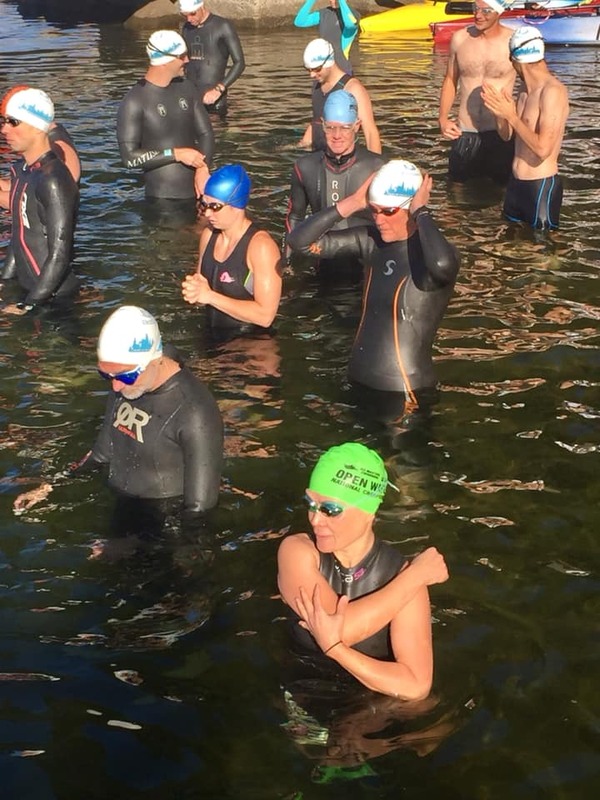 The Lake of the Woods swims were a partnership between Southern Oregon Masters Aquatics and the Rogue Valley Race Group, who ran the Tri-Sport Weekend at the lake. A very well run event with parking, food, and lodging facilities right at hand. Congratulations to the producers. It felt like the event had been conducted many times already, but this was the first on! It is a beautiful natural lake setting. I hope it continues. About 40 miles from Ashland, Medford or Klamath falls. Thank you for organizing this event! I couldn’t get there this year but really hope to make it there next year. It’s fun to read a summary of it. ← Where Do You Get Your Protein?